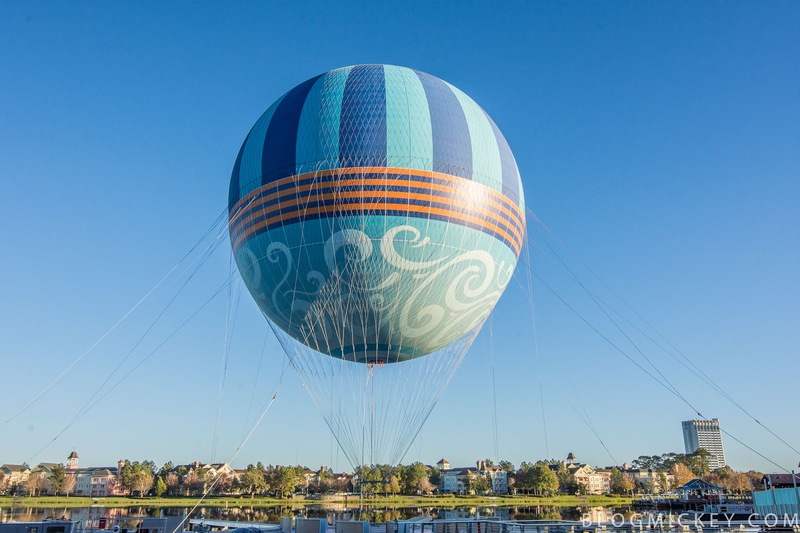 While just a short while ago Disney released that the Characters in Flight hot air ballon at Disney Springs would be disappearing for a short time, today it has officially returned. For those of you who may be new to the Disney Parks and Disney Springs, Characters in Flight is a tethered hot air balloon that guests can pay to go up in and experience a unique view of Disney from above while eliminating the long term commitment of a free floating hot air ballon ride. For quite some time the balloon featured a vast array of characters as a part of the balloons exterior design. As the transformation from Downtown Disney to Disney Springs is almost complete, it is believed that a new design was developed to better fit the aesthetic of the new atmosphere. If you like our posts and want to see more, hit that subscribe button on the right for email notifications directly from us! Also, be sure to friend/follow us on Facebook for the most up to date posts! Guide4WDW Facebook: Click to Follow! Collin's Facebook: Click to Friend!